We are very pleased to announce we have won a coverted Junior Design Award for Doidy Cup!Our uniquely slanted training cup has been recognised for its special design in helping little ones wean and feed themselves. Sharon Trotter is a midwife, mother of five and independent Parenting Consultant, advising and promoting best practice in breastfeeding and baby skincare. Following publication of her articles in a number of peer-reviewed journals, Sharon has implemented a new policy for baby skincare within her local NHS organisation in Scotland. Maternity units all over the UK and beyond are updating their policies in line with this simplified approach, now recommended by the DoH and in line with the Postnatal Care Guidelines (July 2006) published by NICE (www.nice.org.uk). In 2007 Sharon launched the unique TIPS Award Scheme. Through this scheme parents test products on a strictly volunteer basis. This means that the TIPS Award Scheme is the most respected and impartial testing programme in the baby and toddler market sector. 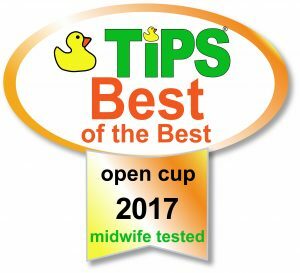 “The outright winner in this category with an incredible 100% of testers choosing this as their favourite cup overall! You can find out how we went about testing open cups and read the full reviews here. 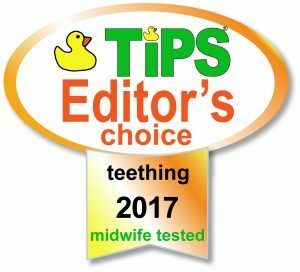 You can find out how we went about testing Bickiepegs teething biscuits and read the full review here. 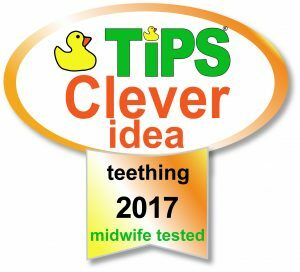 My Verdict…My babies loved Bickiepegs – they prevented many a sleepless night!